1. I don’t really like to read books written before 1800 or after 1900. Except I don’t like Edgar Allen Poe or Hawthorne, so that works out nicely, because they were thought the Transcendentalists were dumb. 2. I don’t believe in predestination, and I think The Enlightenment was boring, and I support the formation of clubs, in general. Also, they were pretty much exclusively American. USA! USA! USA! 3. Calling somebody a “Transcendentalist” in the 19th century was like calling somebody a “hippie” in the 1960’s: “Go home, Transcendentalist! Put a shirt on! Get a car!” Like that. Underdogs. 4. I like to have long lunchtime conversations about just whatever, and then walk afterwards. Which seems to be mostly what they did. 5. They seem nice, and I think the Transcendentalists would probably like me, even though I don’t wake up at 4 AM in November to swim in a pond. I mean, I do actually like to swim in ponds at regular daytime hours in the summertime. And what I want to know is whether anybody actually ever SAW any of them breaking the ice on a pond and then swimming in it at 4 AM? Besides John Muir? Because I certainly wouldn’t judge Thoreau if he just said he was taking ice cold, middle-of-the-freaking-night pond baths, and actually just sleeping until 7 and then and drinking coffee and reading The Bhagavad-Gita. I mean, early morning bathing in Walden Pond might be a good thing to do if one wanted to mingle with the stupendous and sublime waters of the Ganges, but in Massachussets, nobody really expects you to do it, Henry David. Because the Ganges is probably pretty warm because it’s in India, and Walden Pond has ice on it. 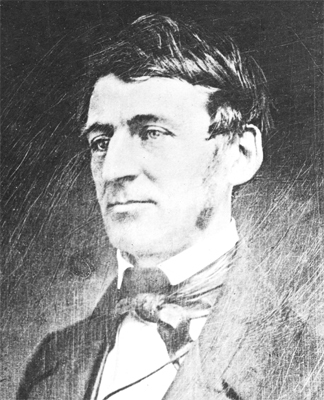 Anyway, this morning I found that Ralph Waldo Emerson had a personal mission statement–a set of guiding principles, if you will–which he would refer to if he was confused about what to do in a given situation. SELF-AFFIRMED IN ALL BOSOMS, you guys. Self-affirmed in all bosoms. I think I might be a Transcendentalist.